Our friend Tracy Gonce deemed Myleik Teele, the “queen of flipping women from blah to boss” and we couldn’t agree more. 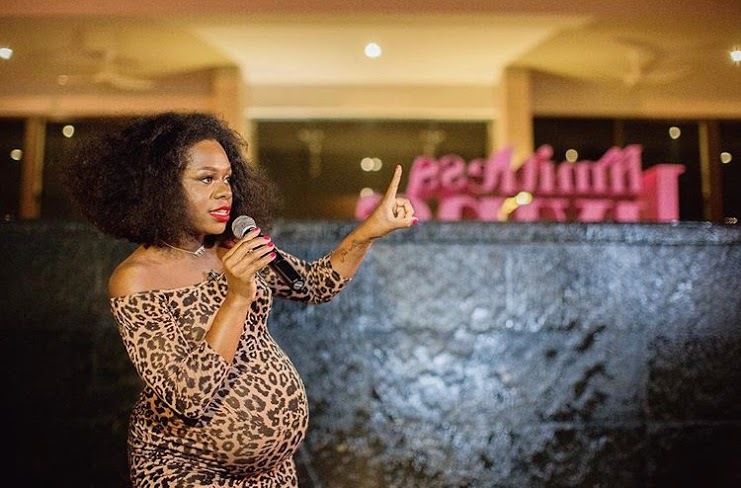 We’ve been following Myleik’s career journey since she was a publicist and she doesn’t just practice what she preaches, she LIVES it, online and in real life. As the Founder & Chief Experience Officer of curlBOX, Myleik has disrupted the beauty industry in a way that allows women of color to consistently come first. 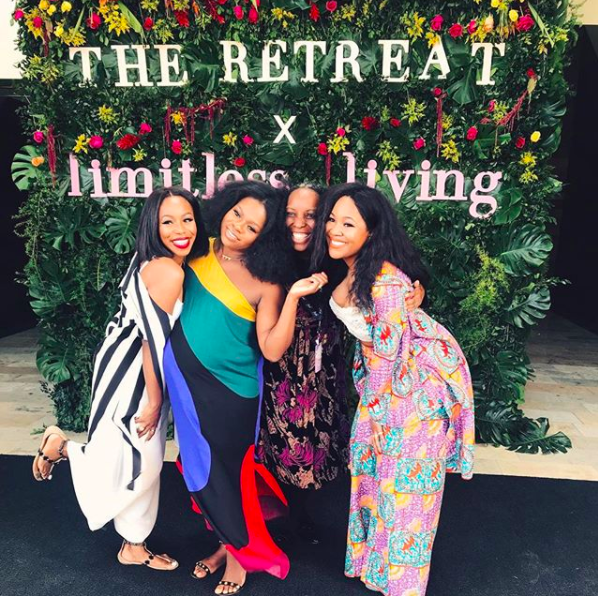 Most recently, Myleik and her team wrapped up her first #MTYRetreat, a curated experience for women to explore the possibilities that comes with “Limitless Living”. Here, the entrepreneur (and one of our fave podcast hosts), talks how the retreat came together, her commitment to excellence and growth, and what we can learn about the power of standards from the retreat’s application process. MK: From the very beginning of curlBOX, you’ve been intentional about creating experiences for Black women and the retreat was no different. It was a flawless, well executed event. What were your guiding principles during the creation of this experience? Commitment of Excellence: I strive to be a living example of doing all things in excellence. Excellence is an attitude and I believe in leading by example. I wanted retreat goers to see me at my best in hopes that they’d be inspired to do the same. You Deserve More: Many of us won’t even look at 5-star hotels because we’ve trained ourselves that they aren’t for us. The theme for the RETREAT was “Limitless Living” and by inviting them to a 5-star, 4-diamond resort, it was proof that we belong everywhere. Let’s Have Fun: Many of us spend our days working twice as hard as everyone else and taking care of everyone else to the point that we forget to have true unadulterated FUN. I wanted to craft experiences that made you laugh until your sides burned and dance until your feet hurt. Based on what I saw, mission accomplished. MK: For your retreat, you enlisted the help of other industry leaders like Karleen Roy and Kahlana Barfield Brown. Why was it important for you to take a team driven approach to execute this experience? Myleik: To be fair, this event came to fruition with the help of a small agency and my in-house team for over a year. While these six people may not be visible, they are very definitely heavy-hitters in their own right. The public gets to see the glitz and glamour of it all but there were over a thousand payments that had to be processed, nearly 100 flight transfers, questionnaires to be sent, websites to be built, tons of graphic design and hundreds of hours of communication. The people out front tend to get the credit, but none of this could have happened without them. When it came time to set the actual tone of the event, I flew Karleen out to the host resort in Mexico for a weekend stay so that she’d be able to fully understand what I wanted THE RETREAT attendees to feel. After that, we began brainstorming on a schedule of breathtaking events. I hiredKarleen’s “Vanity Group”for this because I don’t believe that anyone could have visually articulated my dreams better than her. We spent countless hours on the phone, trading texts and emails and every detail came out better than I could have imagined. I don’t plan events for a living, so I hired someone with the actual skills and resources to get it done. As for the speakers, I have personal relationships with everyone that spoke over the weekend. Everyone that spoke atTHE RETREATunderstood my vision and knew what I was trying to accomplish. They were all more than willing to jump on board to help me see this thing through. When they need me to do something, they know I’ll be right there. MK: While it would be impossible to accommodate 1,500 women when there were only a select number of spots available, there are some on social media who’ve appeared to take the application process/rejection personally. Some have even reviewed their rejections from a lens of “I’m not good enough” or “something must be wrong with me”. How would you challenge that perspective and how can we break the mentality that equates rejection/failure with unworthiness? Myleik: I think what may have been a huge mistake for some during the application process in 2016 was moving too fast and not spending enough time with the questions. Believe it or not, the majority of applications I received said things like “I want to go because I need a vacation.” While I totally understand that, you don’t really need me if a vacation is all you need. I was looking for people that were able to articulate their ability to exchange – people that hoped to learn something but also had something to offer THE RETREAT. I knew that the event wouldn’t have the same impact if everyone had to rely solely on me to provide insights for the weekend. I wanted a completely immersive experience in which people could chat with someone on the ride over to the resort and learn something or solve a problem they’d been having by the pool. Based on the feedback I’ve gotten, that goal was accomplished. There seems to be a misconception that the group consisted of mostly bloggers and influencers and I think that likely came from the fact that I announced this RETREAT on Instagramwhere many bloggers and influencers reside. There were various career levels from entry to expert. The group was diverse and made up of pharmacists, doctors, photographers, financial analysts, data analysts, journalists, ministers and more! MK: It’s been beautiful to watch so many women come together to genuinely connect and grow. Did you learn anything new about yourself or your business? What are you most proud of when you think about #MTYRetreat? Myleik: In working on this RETREAT I learned that I am capable of more than I thought I was. This was a HUGE undertaking and I managed to get it all done while holding down two companies (with a baby on the way)! I’m most proud of the fact that I had the means to personally finance this. I’ve always wanted to do something like this and every time it came to a point where the budget would stretch, I was able to say “let’s keep going.” Sometimes it just takes someone treating us really well to remind us that we should be the first to spoil ourselves. There are no words to measure the amount of love I felt over the weekend and these ladies were worth every single penny spent. I’d do it again in a heartbeat! Want info on next year’s #MTYRetreat? Sign up for alerts on the websiteand follow the hashtag on Twitter for even more gems. Such a GREAT interview. Loved reading about the behind the scenes. 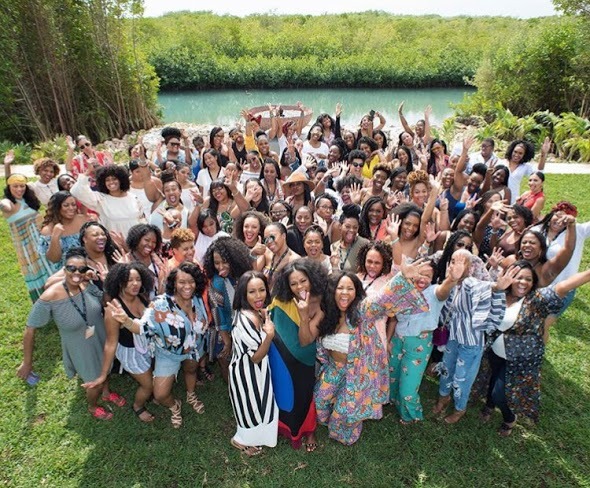 As one of the retreat attendees, I can attest to the hard work Myleik and her team put into this. Job well done!